Irish beanie is a knit design that features an embroidered shamrock. This green Irish beanie features an embroidered Navy blue appliquéd shamrock. 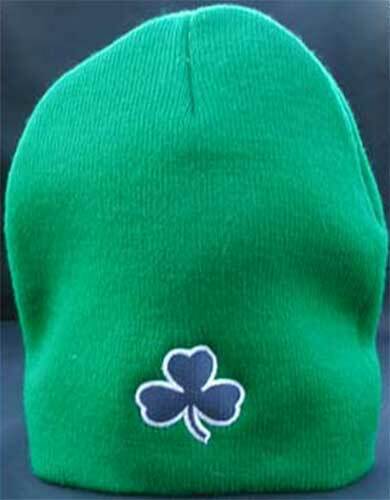 The shamrock beanie is a one size fits most design and it is made of soft and tight rib knit acrylic.